iPad is undoubtedly the most popular tablet and most suitable for entertainment. But as the size of the iPad is growing smaller and bigger at the same time, the demand for a physical keyboard has started to grow. Although most people use it for entertainment, there are still people who use it for work. For those people a physical keyboard would be of great help in improving efficiency. It’s not hard to find a Bluetooth keyboard for iPad as Amazon and other online retailers are flooded with Bluetooth keyboards for iPad and other accessories. But finding a quality one is not that easy among all those options online. So to make things easier for you, here we would recommend to you 5 of the best Bluetooth keyboards for iPad. 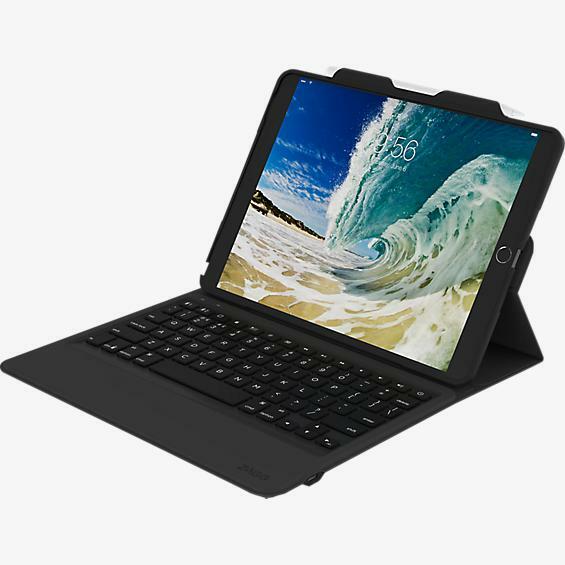 If you are currently looking for a Bluetooth keyboard for iPad, look no further because this is what you are looking for. 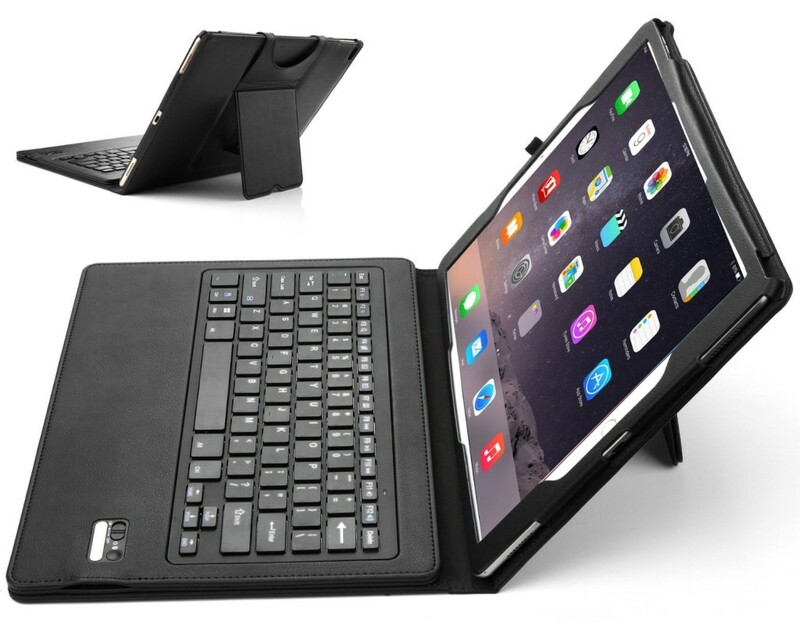 IVSO Keyboard Case is the perfect iPad Bluetooth keyboard for budget buyers as it comes with a price tag under $50. Other than the affordable price, it’s also a well-designed case that allows you to position your iPad at different angles according to your needs. You can easily adjust it to the right angle for different things like watching movie or drawing, etc. It provides a lot of color options such as black, red, blue and more. It’s one of the best budget Bluetooth keyboard iPad users could find. 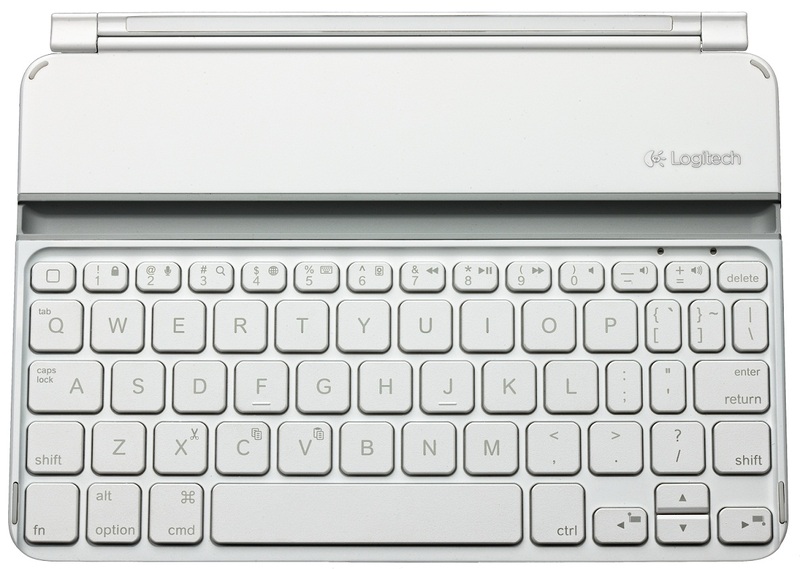 This iPad Bluetooth keyboard comes from the renowned PC accessory manufacturer Logitech. The solid structure of the case can protect your iPad from bumps and scratches. And it’s also spill-resistance. Typing on this dedicated iPad Bluetooth keyboard is comfortable thanks to the 1.5mm travel of the keys. It also has a lot of shortcut keys that allows you to perform tasks like changing volume without having to touch the iPad screen. And it’s designed with replaceable battery and has an estimated lifespan of 4 years. Zagg Rugged Messenger Backlit Case is the perfect Bluetooth iPad keyboard for careless iPad users as it’s well built to protect your iPad from drops of up to 6.6 feet. 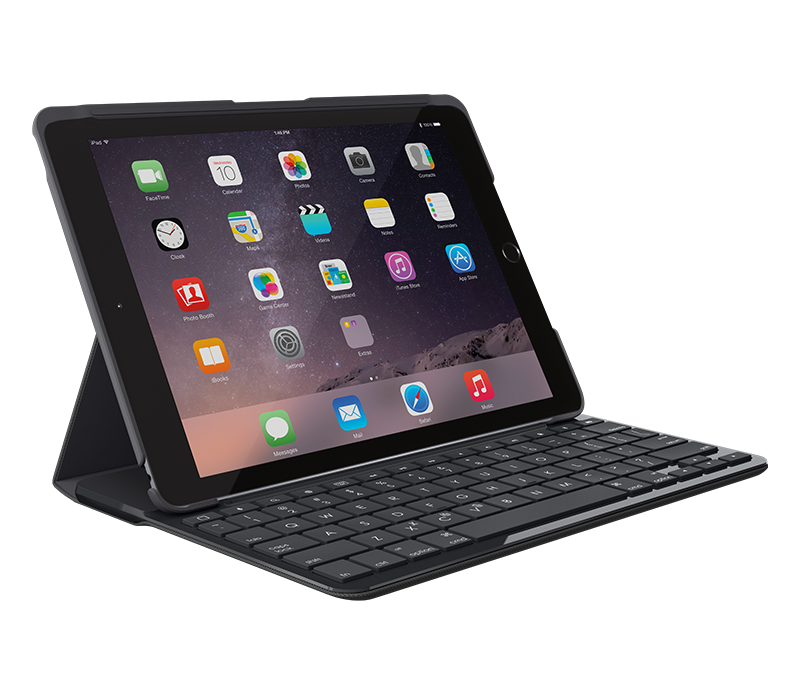 And like every other Bluetooth keyboard for iPad, it comes with a stand that allows you to position your ipad at a suitable viewing angle. Also it’s one of the best Bluetooth keyboard for iPad users to use in low-light condition as it’s got a built-in backlight that offers seven different colors. Apple has its own iPad keyboard, too. 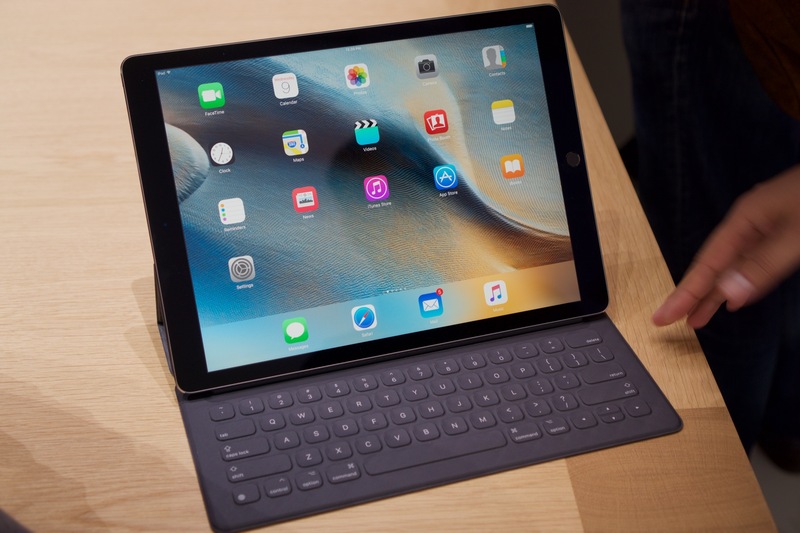 The Apple Smart Keyboard is a Bluetooth keyboard for iPad mini, iPad Air and iPad Pro. Basically every iPad model has its own Smart Keyboard. The Apple Smart Keyboard, just like all other Apple products, is thin and sleek. The keys are well-spaced to reduce the chance of mistyping. But when typing on it, you should find that it’s no different to other keyboards on Apple’s product: the feedback is not so clear due to the short travel of the keys. But coming from Apple, it’s still one of the best Bluetooth keyboard for iPad mini, iPad Air and other iPad models. Logitech Ultrathin Keyboard for iPad Mini, as we can tell from its name, is a Bluetooth keyboard specifically made for iPad mini. The application of aluminum gives it a premium feel and looks nice with the iPad mini. But the true selling point of this keyboard lies in the keys. It provides adequate space to type comfortably and the feedback is solid thanks to the sufficient travel. While giving you a great typing experience and a premium look, the price tag is also pretty surprising as you can get it at around $50. When enjoying the convenience brought by the iPad Bluetooth keyboard, you should be cautious as it might cause series consequence when you are using it carelessly. For example, when mistakenly pressing the delete button and you are supposed to choose No, you might choose Yes by accident and have something important deleted and you might not even have time to reflect as you do it so quickly with the keyboard. This happens to a lot of people and that’s one reason why the data recovery programs are so popular. If you ever have your important notes or messages deleted by mistake, try using a data recovery program to get them back. 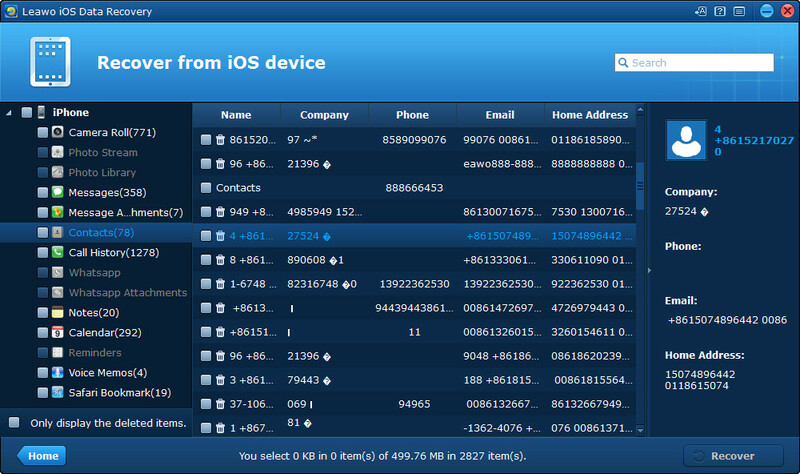 Here’s what I recommend: Leawo iOS Data Recovery. It’s a powerful data recovery program designed specifically for iOS users to get back lost and mistakenly deleted data like messages, notes, photos, contacts and more. With it you can easily get back what you lost on your iPhone and enjoy your iPad Bluetooth keyboard without having to worry about getting your stuff deleted by accident. 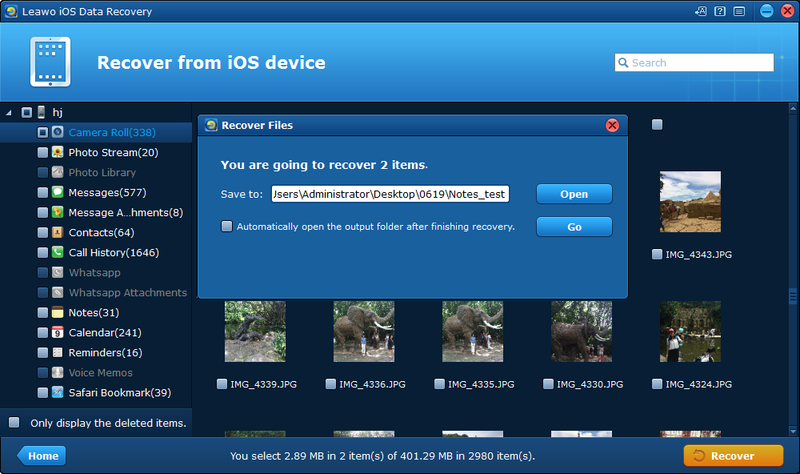 Here’s how to use Leawo iOS Data Recovery to recover mistakenly deleted notes and messages on your iPad. 1. Open Leawo iOS Data Recovery on your computer. On the interface, click on the first tab: Recover from iOS Device and then use a USB cable to connect your iPad to your computer. 2. Later you will see an image of your iPad on the interface and a message showing that you’ve connected your iPad to your computer successfully. Click the Start button and the program will start to scan your iPad to look for the deleted data. 3. When the program is done scanning your iPad, you will see a list of the data on your iPad on the left side of the interface. Click on the type of data you are recovering, in this case, Messages or Notes. Select the messages or notes you deleted, you can enable Display the deleted items only at the bottom of the list on the left to have the program shown the deleted ones only. 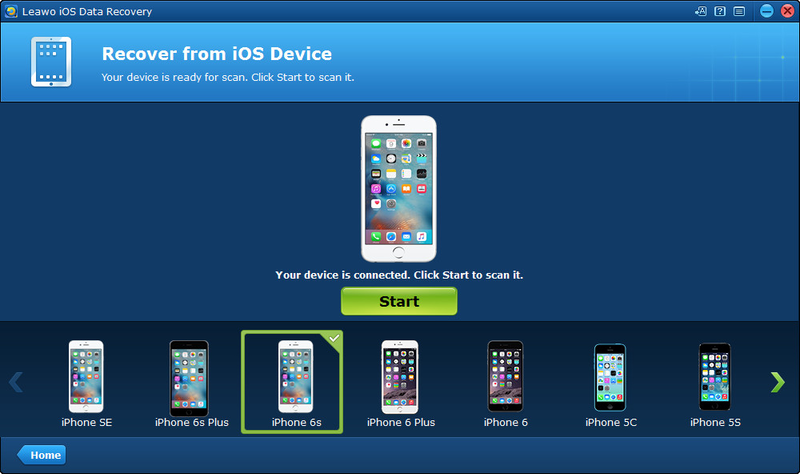 After selecting, click the Recover button. 4. 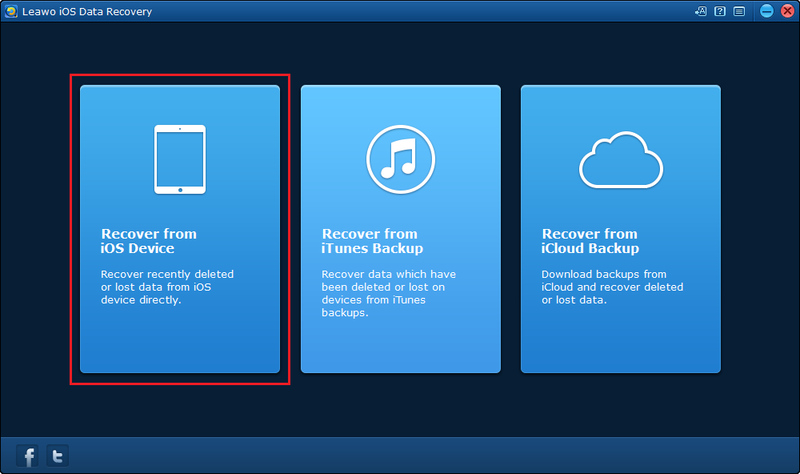 The following popup is for setting the folder to store the messages and notes you are about to recover. Click on Open to set the folder and then click Go to start recovering them. Finding a suitable Bluetooth keyboard for iPad can significantly improve your work efficiency. If you use your iPad a lot for work, you should totally get yourself one of those.